Office Vastu: Generally many companies must have to maintain office to complete their tasks, Business, Works, transactions etc. Most of the companies are being neglected Vastu shastra principles and forgetting about Vastu effects on properties. Due to communication revolution vastu shastra has reached all corners of the entire parts of the world. In India most of the people know about Vastu Shastra, but in other countries many doesn't known about this science. With your blesses and support we are doing that part of job to spreading this science to all parts of the world. To enable every body to live happily. Looking to make Office vastu is not a challenge, plan every thing as per vastu shastra techniques then most of your tensions will be minimized and you may get new opportunities. The seating arrangement of CEO, CMD, MD, senior executives, managers, directors should be planned at Southern, Western and Southwestern portions of the office/block. This seating position may manage to increase the standards of the office. Northern and Eastern zones would be apt for seating the middle managers. Reserve the Northwest portion for the field staff. Location of accounts department should be in the South/Southeast direction. The right place for reception counter is Northeast portion of the office, generally it may be planned for East and North facing offices. It is suggested that the staff should work facing the North or East directions. 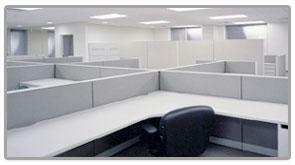 Central zone of office premises should be kept empty. It is advisable to have a rectangular desk for the owner. Boring or tube well installation in the Southern direction of the office is not recommended. The locations perfect for the pantry are Southeast and northwest zones. Marketing department should be located in the northwest zone of the office. Legal Department may be suitable at East or West parts. Please note that this point should be double argued, we are working on all of these departments and updated this vastu shastra website very soon. Boss should sit at South-west area facing towards East or North. West is also permissible but it must not face towards South. In the office, the temple should not be placed at the back of the owner's seat. The owner's desk must always be rectangle. There must always be a solid wall behind the owner's seat. Computer room should be in Southeast. Pantry should be in Southeast or North-west. Marketing departments should be in North-west. Cashiers should be in the North, the abode of Kubera, the God of wealth. Almirahs and racks should be placed in the Southwest. Purchase department and other should be in South or West. Reception should be in North-east as per vaastu. Telephone, side tables should be in South-west corner. Conference room should be in the north west, since that direction is best suited for a flow of ideas, but it should not have wrong doors like, Northwest doors if the room measurements were against to the vaastu principles. There should not be any obstacle in front of any door opening. Keep your files in your office as given below and it will help you in your business as each and every file in your office plays an important role in the business. Account file - in Southeast corner shelf. Personal file - in Southwest shelf of your cabin. Purchase file - in Southwest shelf made on South wall. Sales file - in Northwest shelf on wall. Estate file - in Southwest shelf made on Southern wall. Shares file - in Northwest shelf made on north wall which you want to sell. (This matter is from www.subhavaastu.com) And in South-west shelf made on South wall which you want to retain. Raw materials file - in Southwest shelf. Finished goods file - in Northwest corner shelf. Income tax file - in Southwest corner shelf. Sales tax and excise files - in Southwest corner shelf. Import and Export file - in Northwest corner shelf. Stores file - Always in Southwest corner shelf. Cash purchase file - in Southwest corner shelf. Credit purchase file - in Northwest corner shelf. Staff and workers file - in Northwest corner shelf. Litigation file - in Northwest corner shelf. Pending bill file (receivable) - if it is in Northwest shelf it will help in early recoveries, payment which are due. Which is the best place for Staircase? I want to learn more on Vastu for Health? Where can I get Vastu Books or e-books? Can I place my God Idols at northeast corner? Who is the best vastu consultant in Visakhapatnam? How to find a good vastu property in United States of America? While cooking food which is the best direction our face has to be? Hello sir, I am sr. Manager in my company. Pls suggest the right sitting place. Hello sir, I am a senior manager in my office. Recently my cabin has been shifted to the South East corner of office. Which can not be changed due to lack of space. Kindly suggest remedies. Excellent, what a website it is! This web site provides useful facts to us, keep it up.